Referred to as the city of love, light, fashion, literary paradise–Paris, the sophisticated capital of France has countless numbers of well-designed parks. These remarkable parks and beautiful gardens situated in or near the center of Paris attract millions of tourists visiting annually. One can sit on the soft green grass of these Paris Parks or on the green metal chairs that are found abundantly in these gardens, and enjoy reading, watch merrily the other people passing by, or simply rejuvenate in the charming, pleasant weather. These unique spots are perfect and most favorite places of people to sun, stroll, picnic and play. The parks and gardens of Paris are truly wonderful for romantic leisurely strolls or for admiring nature, cycling, etc; while the kids too can have immense fun as puppet theatres are organized and tennis courts are set up frequently in these parks. 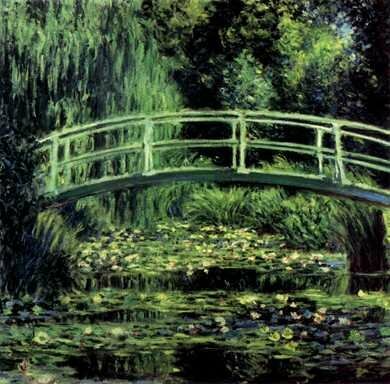 The impressionist paintings which often depicts Parisians at lazy picnics or in the romantic green settings throws considerable light on the fact that the Paris Parks and Gardens have been a source of inspiration since a long time. The parks are not merely some plots of grasslands reserved for sports. The gorgeous botanical arrangements, exotic and rare species of plants, fresh flowers of vibrant colors blooming every year in a majestic fashion delights and inspires the nature lover’s deeply. All these reflect the city’s elegance, every artistic detail and symmetry. Le Bois de Boulogne is the largest park situated on the western outskirts of the city. Formerly a royal forests and hunting ground, this vast 2200 acres of Greenland is bordered by leafy roads and features marvelous waterfalls, breathtaking scenery, especial children’s playground, shimmering lakes, oak and cherry trees, etc. Bois de Vincennes, is another enormous and beautiful Paris Park, created in the year 1860, where one can find Buddhist temples, boating lakes, restaurants, a racetrack, baseball field, small farms, etc. Jardin des Plantes is a fantastic Paris park and is considered to be the oldest one. It was founded in the year 1626, and was first established as a royal garden of medicinal plants. Today this popular botanical garden covering 28 hectors and being situated on the left bank of River Seine, feature numerous tropical hothouses which are home to a variety of unusual plants, magnificent Alpine and rose garden, a small zoo, a botany school, Natural History Museum, an Art-Deco style winter garden, etc. This entry was posted in Uncategorized and tagged Jardin des Plantes, Paris Park, Paris Parks, parks and gardens of Paris. Bookmark the permalink.